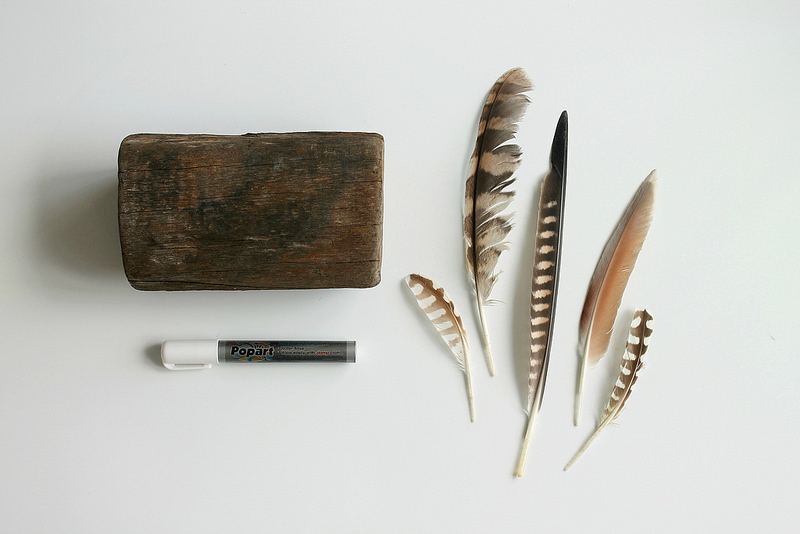 Since we've been making our collections, we've managed to gather together quite a few different feathers. We do have a little pot for them, but I also wanted to make something we could put a few of our favourite feathers in, as a way of displaying them. I used this piece of driftwood collected from the beach and drilled some holes for them to stand in. 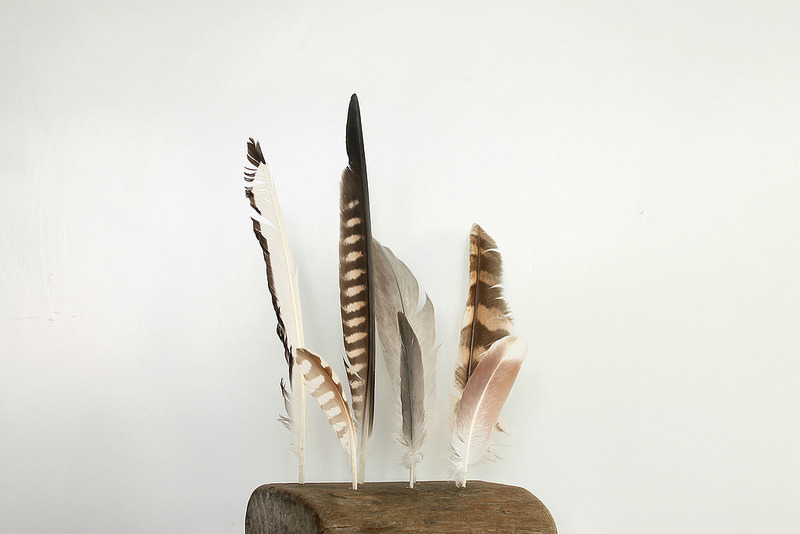 The kids really love this, choosing which feathers to position where. First choose your piece of wood. 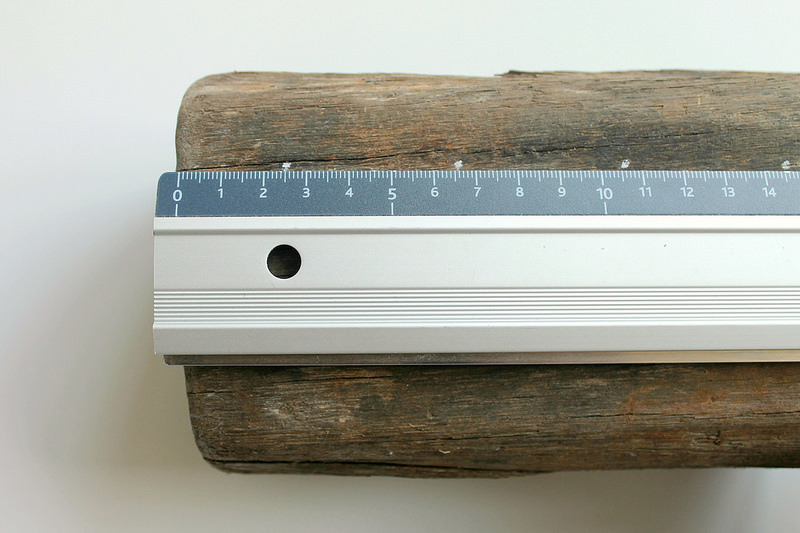 I quite liked the chunkiness of this piece and it also had nice flat edges, making it easier to drill the holes. 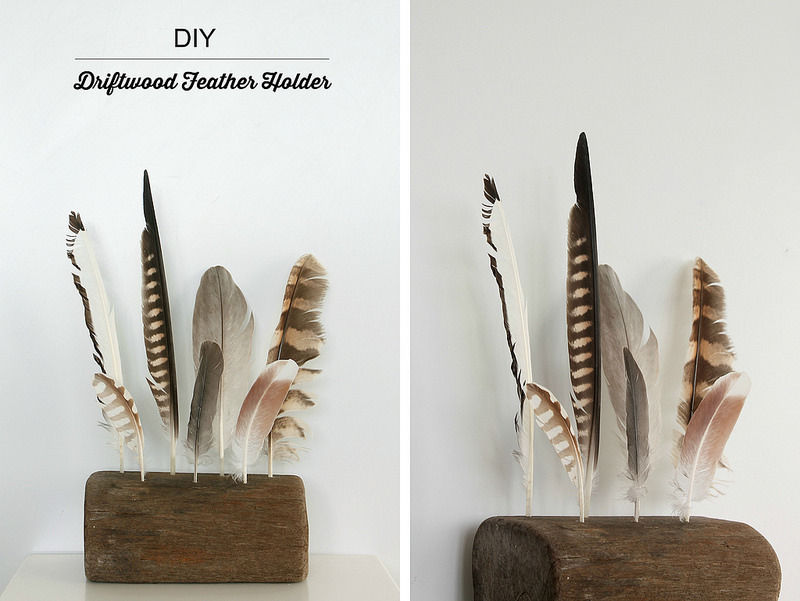 Mark out where you would like the holes to be, making sure there is plenty of space for each feather. I used a white chalk pen so I was able to see the markings clearly, and could also remove any mistakes easily. Drill the holes into the piece of wood, going in about an inch or so. I used a slightly thicker drill bit for the back holes so I could put the bigger ones with a thicker quill behind, and the thinner and shorter ones at the front. And that's it! Once the holes are drilled you can play around with the positioning of your feathers. Let me know if you try anything similar, I'd love to see it! 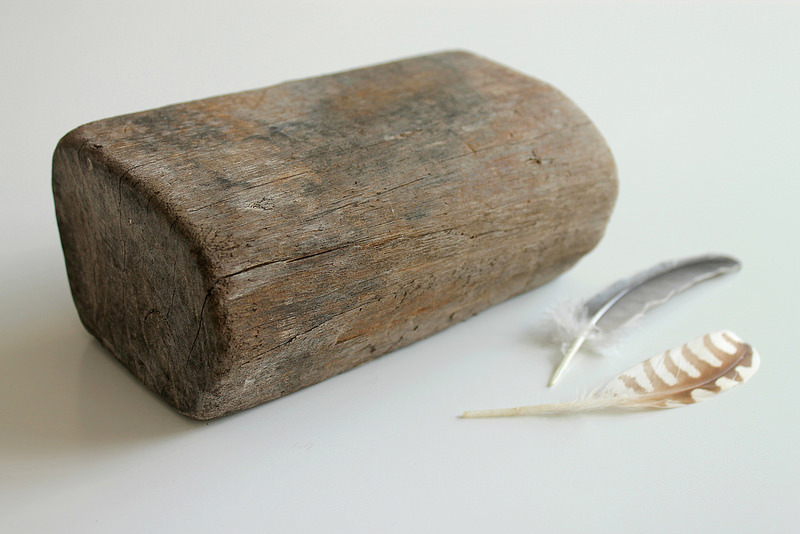 We had an old log in the porch the kids would stick feathers into all the cracks - I love your driftwood / feather display.